Originally released in the 1990s, this is a compilation of specially recorded tracks for the salsa dancer. The salsa tracks on this compilation are unavailable on any other CD release! 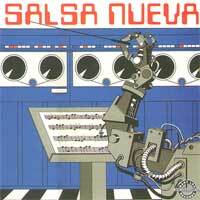 New York salsa bands featured include: Orquesta Royal, Orquesta Unidad, Luis Cruz Y Grupo Sass, Orquesta Los Rivales, Orquesta Los Timidos and others. Special guest on track 6 is husky voiced Derek David who sang with the popular soul group The Platters for over 30 years.